Kia ora and haere mai, welcome to the 21st instalment of 9mm for 2018, and the 193rd overall edition of our long-running author interview series! Today I'm very pleased to welcome award-bedazzled Australian crime writer Emma Viskic to Crime Watch. I first came across Viskic's sublime storytelling when I read her debut, RESURRECTION BAY, back in 2016. It's a stunner of a debut, that went on to win four awards in one weekend later that year: three Davitt Awards (Best Adult Novel, Best Debut, and Readers' Choice) alongside the Ned Kelly Award for Best First Novel. It also was also named iBooks Australia’s crime novel of the year, and as it's become more available abroad it's continued to pick up many accolades. It was recently longlisted for both the CWA John Creasey (New Blood) Dagger, and the CWA Gold Dagger. 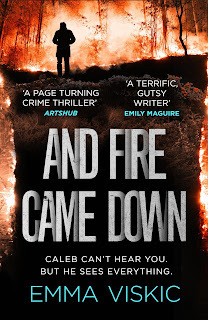 Viskic's second novel starring deaf investigator Caleb Zelic, AND FIRE CAME DOWN, is out in the UK & Commonwealth, and will be published in paperback in the United States later this year. Viskic is a classically trained clarinetist who has performed alongside legendary singers like Dame Kiri Te Kanawa and Jose Carerras, as well as in the London Underground. She learned Australian sign language while researching her Caleb Zelic books, and is currently working on a third novel. I’ll always love Sara Paretsky’s VI Warshakwski because she was such a breath of fresh air, but my all-time time favourite is John le Carré’s George Smiley. (Yes, he’s a spy not a detective, but I’m claiming him for crime fiction anyway) Smiley is a wonderfully believable mix of contradictions: smart, unassuming, quiet and ruthless. When I was ten or eleven my parents gave me free access to their books because I was bored with the kids’ section of the library. They had pretty eclectic taste so I was able to get my hands on everything from Shakespeare to pulp fiction. I’d love to be able to say that I picked up a copy of Richard III and was transformed, but it was actually From Russia, With Love. I understood very little of it, but devoured it in a couple of days. For a kid growing up on the outskirts of the bush, it all seemed incredibly sophisticated, exciting and dangerous. I wrote two unpublished manuscripts before Resurrection Bay. They were unwieldy, lumpen things, so I turned my hand to short stories in an effort to refine my writing. It turned out to be one of the best decisions I’ve ever made. Not only did I learn a lot about crafting sentences, plot and characters, but I went on to win both the Ned Kelly and Thunderbolt Awards for short stories. I love spending time with my family, reading, bushwalking, and binge-watching Netflix. I’m also a world champion napper. I’d highly recommend a visit to the Napier Hotel in Fitzroy. The Napier is a great little pub by anyone’s standards, but I love it because it stars in Peter Temple’s Jack Irish novels as the Prince of Prussia Hotel. The TV series was also filmed there. The Napier is cramped and colourful, and still very much a local pub. Margot Robbie. After seeing her in I, Tonya, I think she could capture my obsessive side, and my early years as an very bad jazz ballet student. Plus, she’d already have the Australian accent down. You’re killing me with this one. Resurrection Bay will always have a special place in my heart because it was my first novel, but its sequel, And Fire Came Down, currently holds centre place (out now in Australia & New Zealand, out in the UK on 30 August). I wrote And Fire Came Down during a difficult period of my life, and it was a difficult novel to write, but it’s also the most honest piece of writing I’ve ever done. I was in a doctor’s waiting room with my daughter when I read the email offering me publication. There was a moment of stunned silence, then a lot of hugging and screaming. The waiting room was empty, but the doctor came out to see what was happening. My grade three primary school teacher came to the launch of my second book. I’d last seen her when I was eight. It was one of the loveliest, and most surreal, moments of my life. 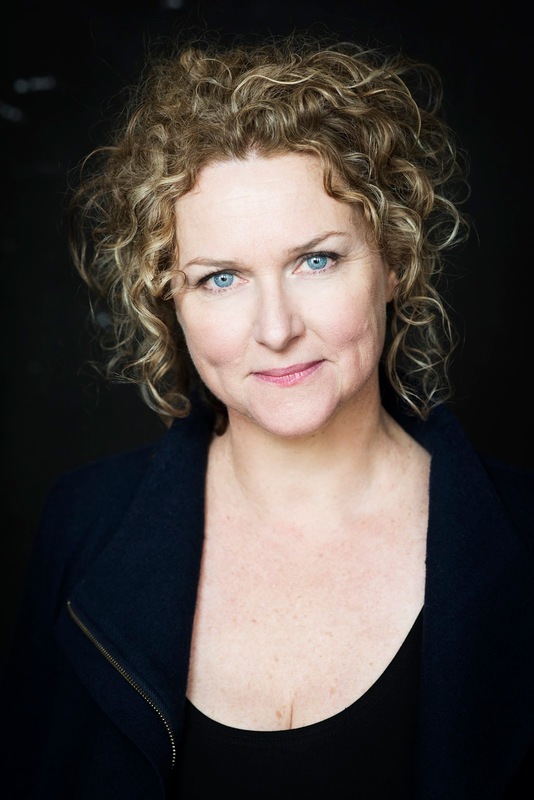 Thanks Emma, we appreciate you chatting to Crime Watch.